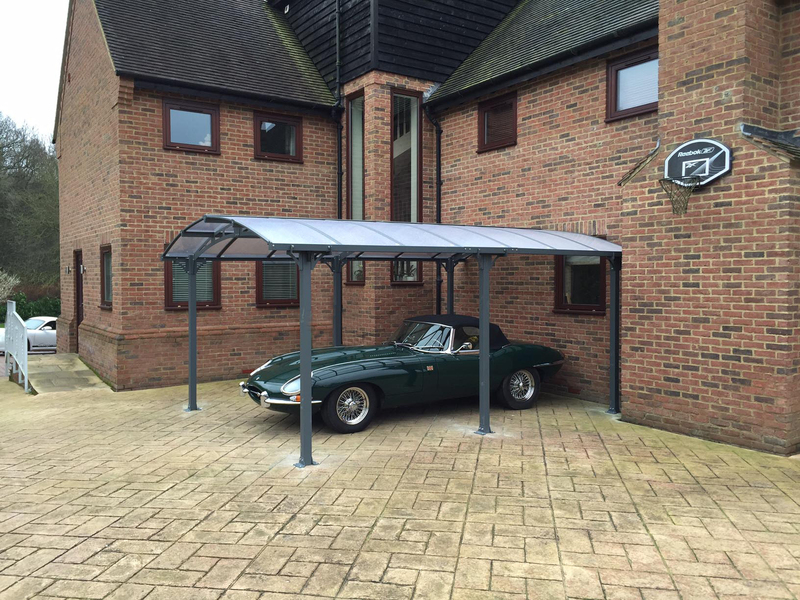 This beautiful curved roof canopy can be used as a stylish sturdy carport or a sleek patio canopy for your garden. 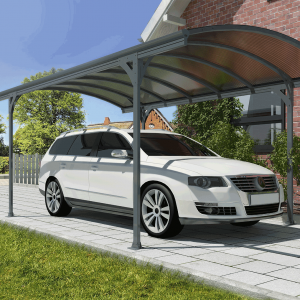 Whether you choose a carport or patio canopy this design has a unique appeal with its smooth flowing lines and durable aluminium frame. 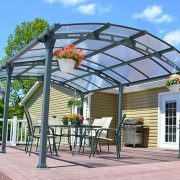 The Crescent Curved Roof canopy comes as a complete kit with everything that you need to build a modern, stylish shelter. 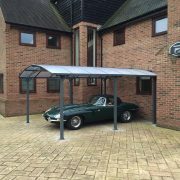 This canopy is perfect whether you wish to create a seating area in your garden or to protect your vehicle all year round. 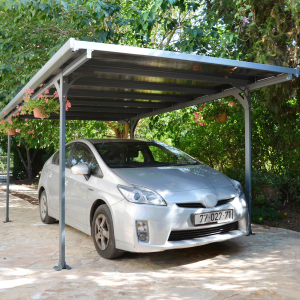 It has a grey frame made from rust resistant, powder coated aluminium and galvanised steel. 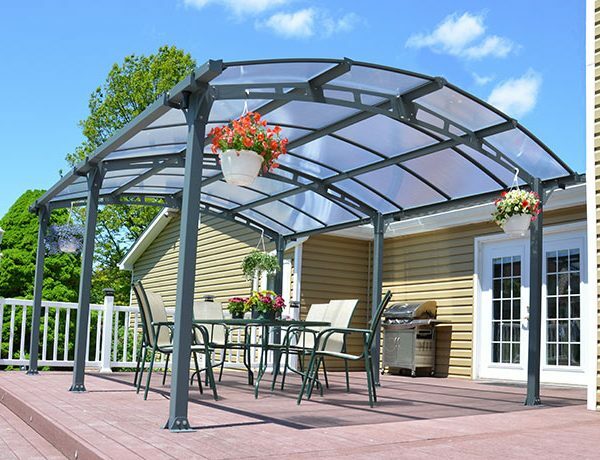 The covering is 6mm UV protected Polycarbonate panels. 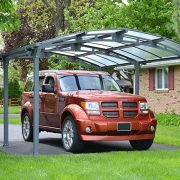 Included within the Crescent Canopy Kit are the gutters, sliding roof system and anchoring kit. The Crescent is designed to be installed on concrete flooring, footings, piers, or any level surface. The post dimensions are 80mm x 80mm. 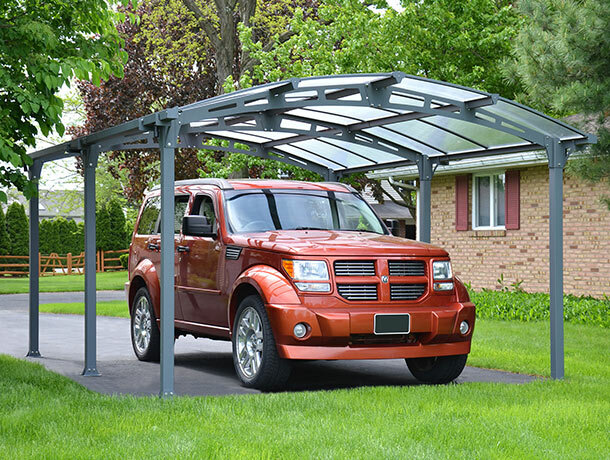 The external canopy dimensions are: 502cm length x 362cm width x 242cm height. The Crescent covers an area of 18.2 m2; can withstand snow loading of 150 kg/m2; and is wind resistant up to 150 kph. 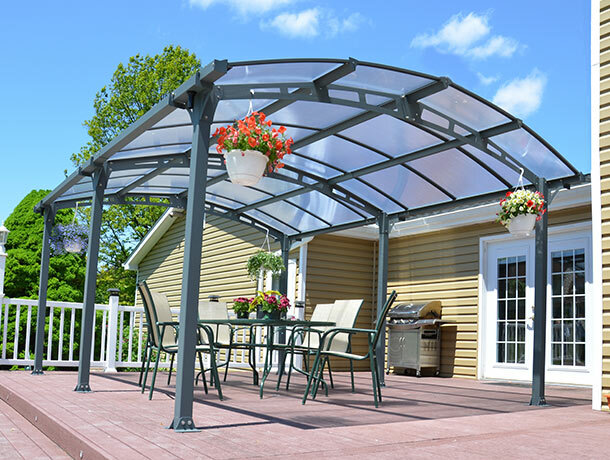 Click here to download our Crescent Curved Roof Canopy assembly instructions.